A mystery man or woman who bought a Mega Millions quick pick ticket for September 11 marked by winning $106 million. 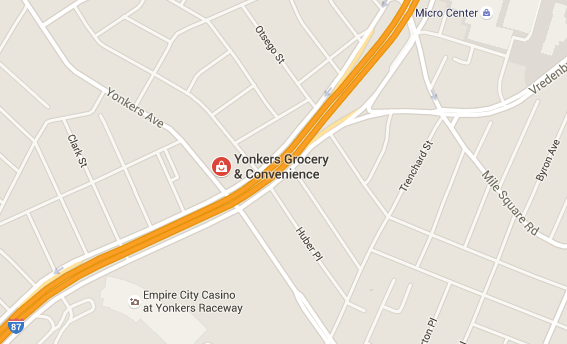 The Lucky Ticket was sold at Sammy Patel’s Yonkers Grocery & Convenience Store , 795 Yonkers Avenue, Yonkers. The bonanza follows three previous big winners: a $5 million ticket in December; a $1 million ticket in November; and a $3 million winner in 2006. Patel said between 300 and 400 people a day play some type of lottery game at his store. The most recent winner has until next Sept. 11 to collect the big prize. The jackpot win is New York’s third Mega Millions jackpot win in 2015, following earlier wins on February 27 ($126 million) and March 24 ($58 million). The $106 million is not the largest haul in New York state. Mega Millions winning numbers for Friday, September 11, 2015 are 5, 11, 31, 50, 67. The Mega Ball number is 14. The Megaplier number is 02.